April77 is a label from France with their FW/08/09 collection being based around Rock n Roll but going deeper being influenced by the 80/90’s non Londoners UK population. 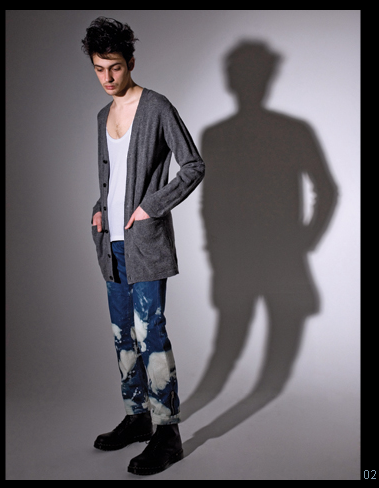 Large over sized knight wear straight skinny slacks and denim. 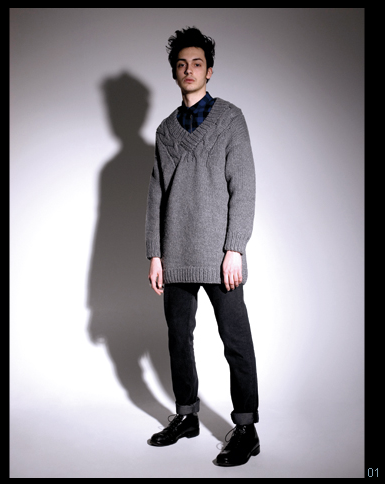 It’s great seeing what is a very French/Parisian label and style incorporate with a UK influence. The colors consist of monochromatic grays, blacks and blues. A good touch is the acid wash…? Is this even considered acid wash when its this extreme? But anyways the bleached denim are a great addition to the collection. April77 is available at Carte Blanche in Toronto and Seven NYC. This is first time i visit here. I digged this for more news from you.